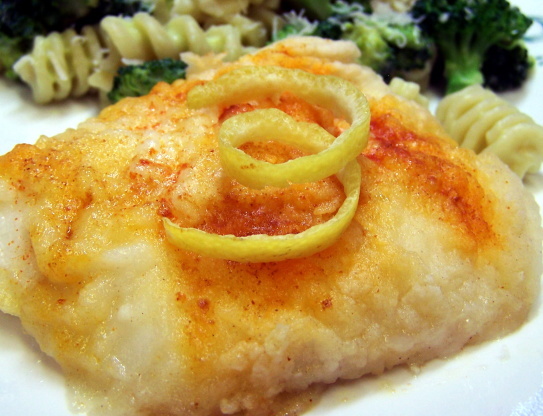 If fish fillets are large, cut into serving pieces. In another bowl, mix flour, salt and white pepper. Dip fish into butter mixture; coat fish with flour mixture. Place fish in ungreased square baking dish, 8x8x2 inches. Cook uncovered in 350 degree oven until fish flakes easily with fork, 25-30 minutes. Garnish with parsley sprigs and lemon slices if desired.